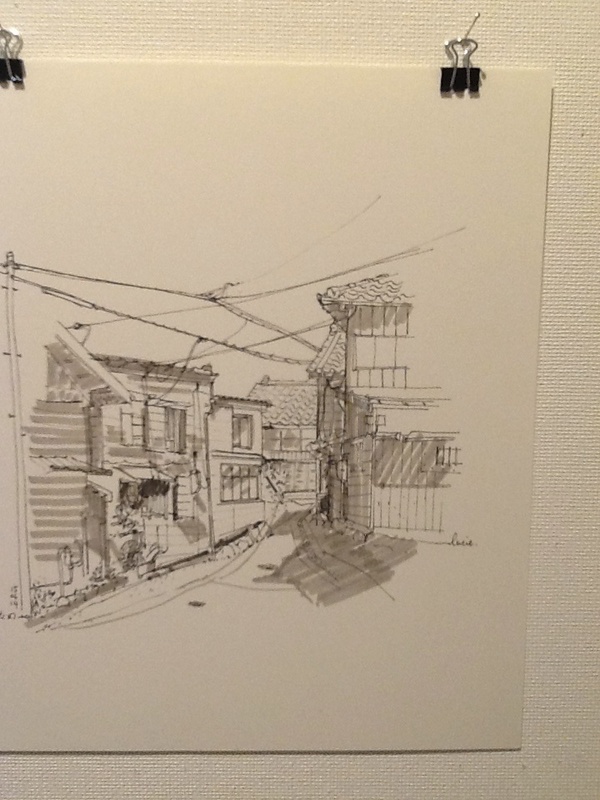 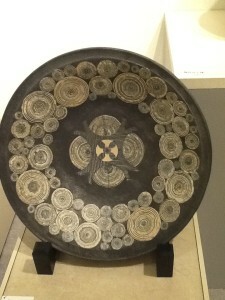 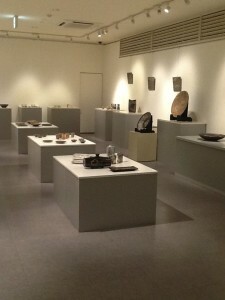 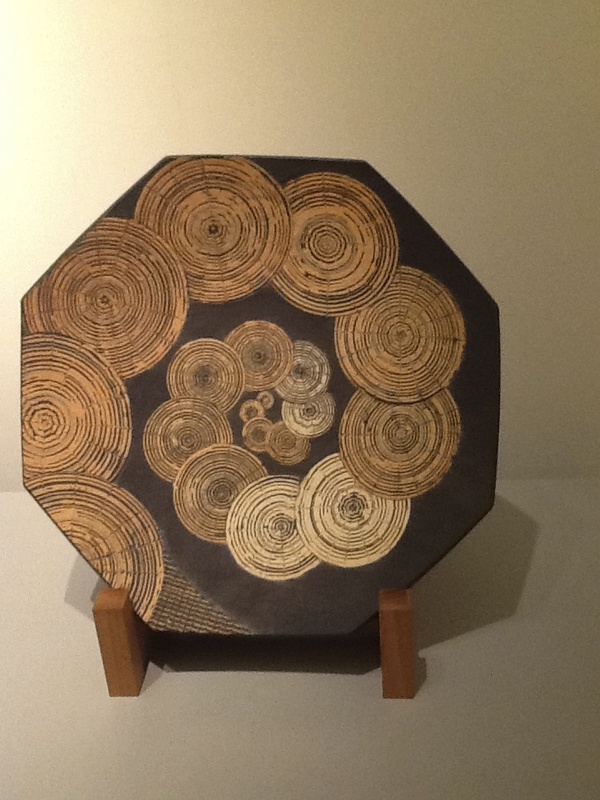 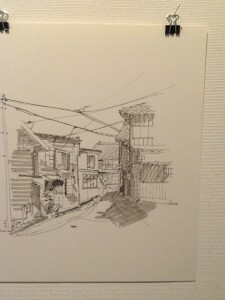 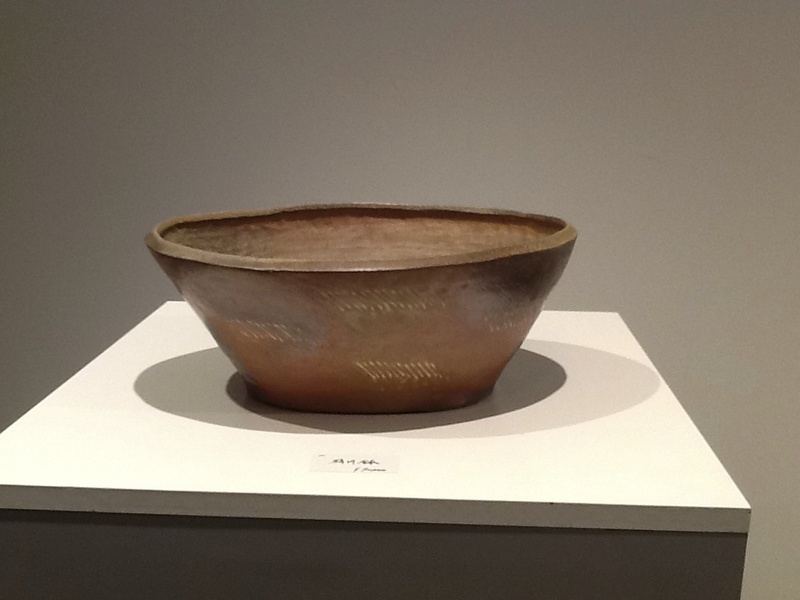 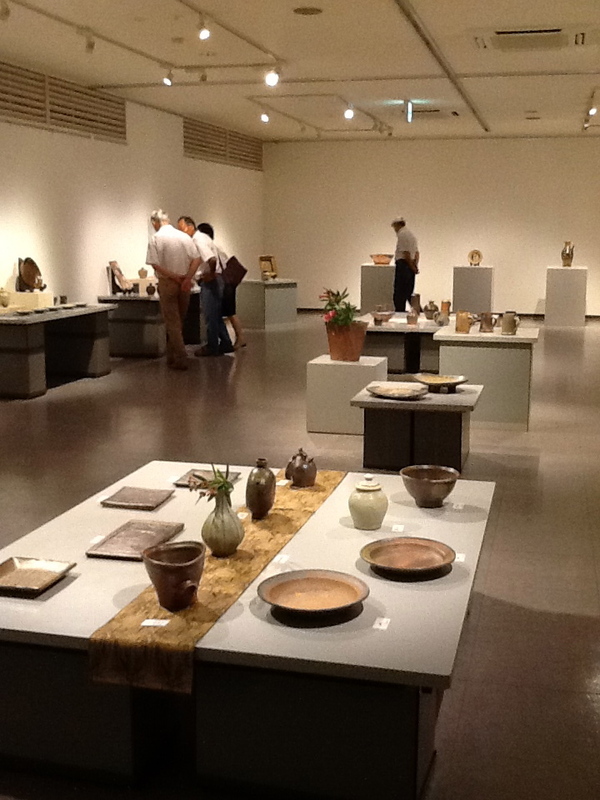 These are Tanaka’s works inspired by English slipware. 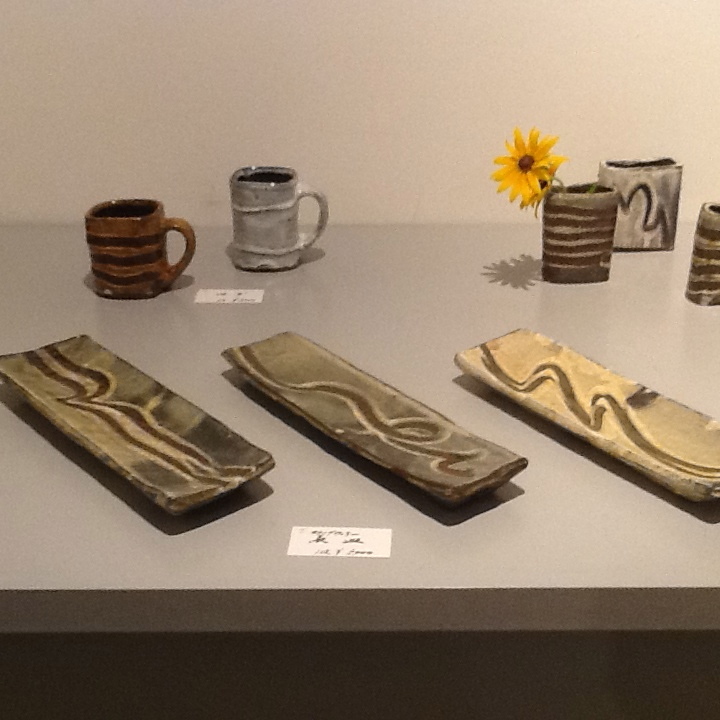 New style slipware! 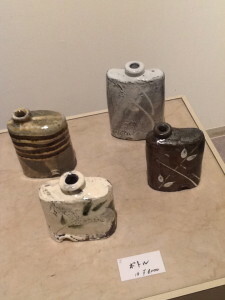 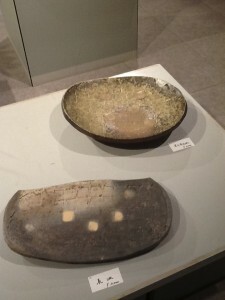 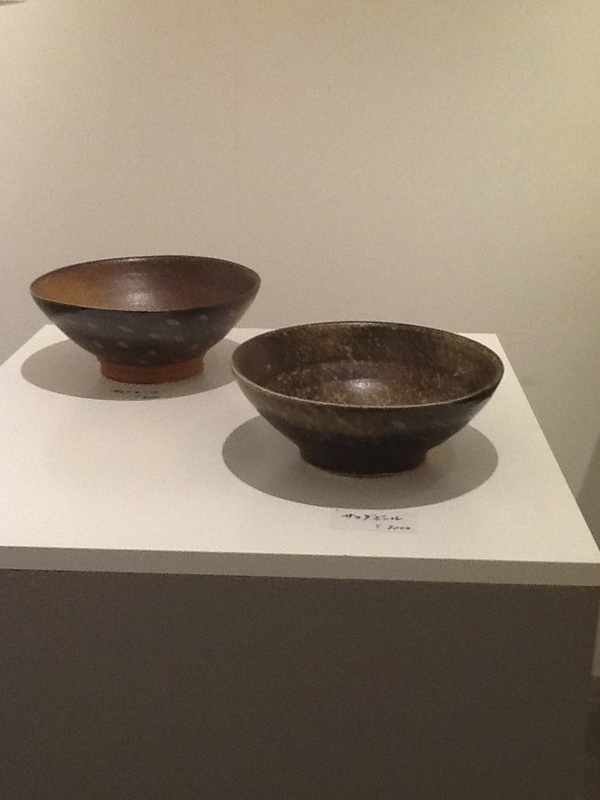 Mieko’s works, left one is an inlaid coil pot by a wood firing with salt. 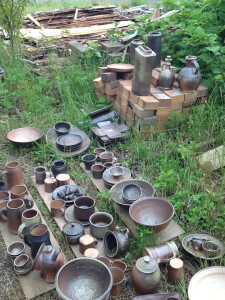 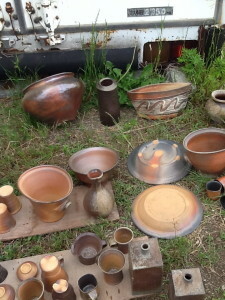 Right two plates were also fired by a wood kiln under the ash. 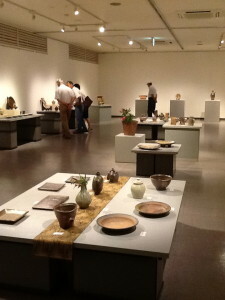 It’s a fine day today and our exhibition has started! 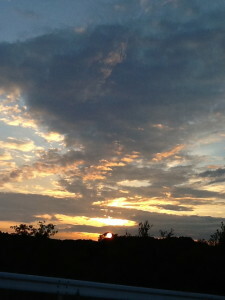 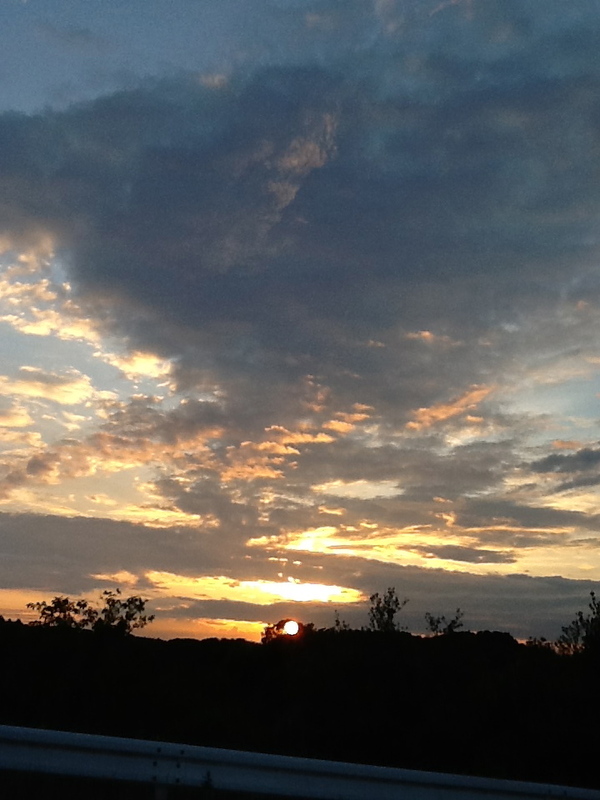 Beautiful sunset from our kiln site! 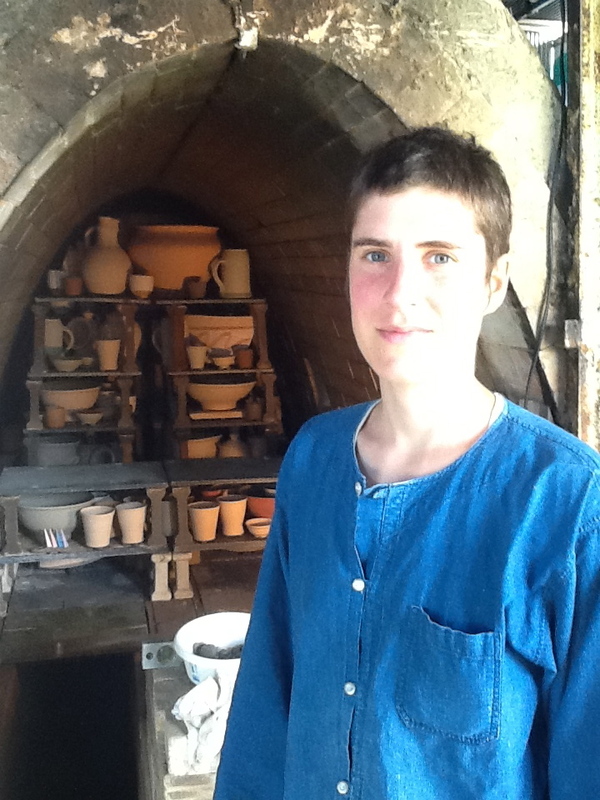 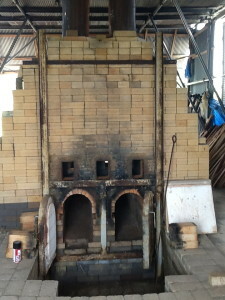 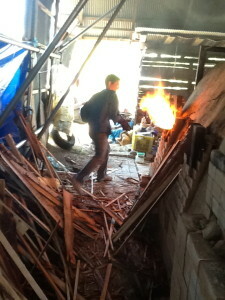 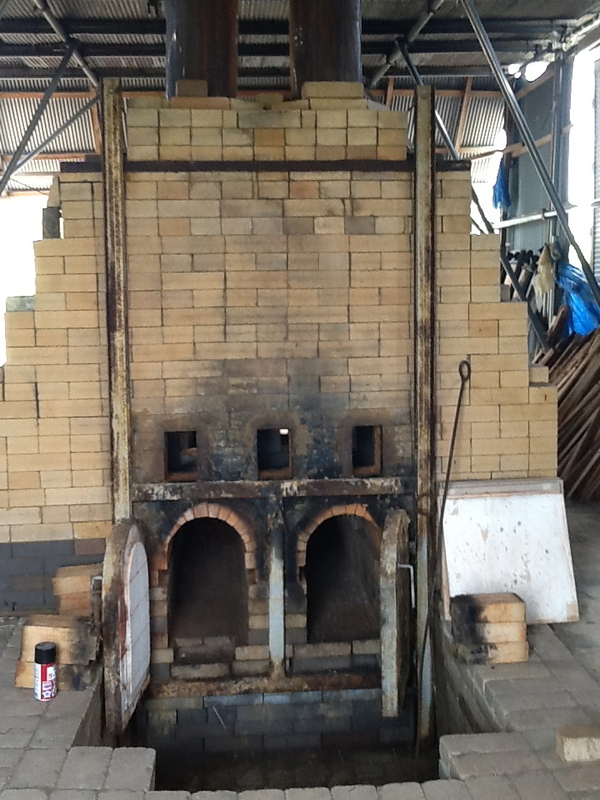 We are unpacking a kiln, you’ll see the result in our exhibition. 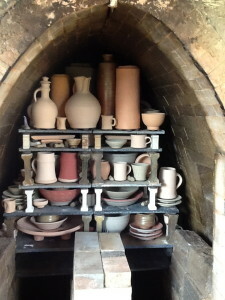 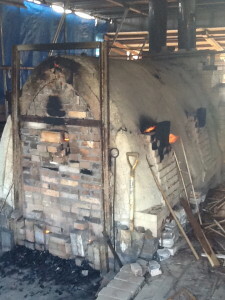 We are packing a kiln and firing in a heavy rain. 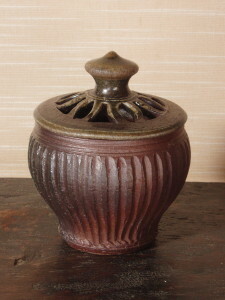 This is a potpourri jar, was made and fired in a wood kiln in France.